Creating something yourself for your home is so rewarding. Rag rug making is fun, accessible for all ages and a great way to bring colour into the home. Search through at CraftClasses.com and find a class near you across the UK to have a go at making your own. 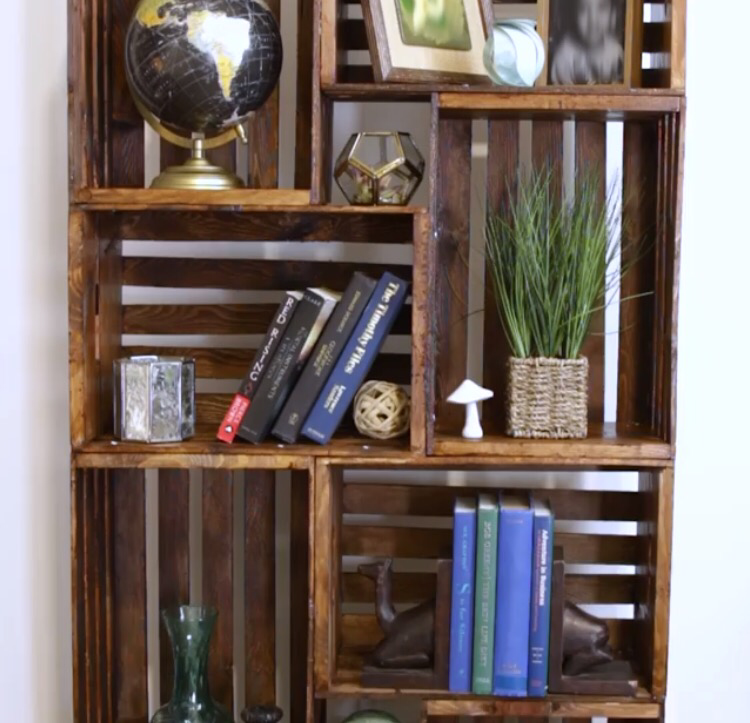 Adaptable for any space, size or colour, we love this tutorial we found, for making cool shelving from old vintage wooden crates. Wooden crates can be found at vintage fairs, eBay, carboot sales and other vintage selling outlets plus there is now ‘new’ versions that can be bought in plain wood. Then you’ll need a drill, screws, wood glue and your choice of stain, varnish or paint. Take part in superb classes to learn new skills in pottery and ceramic making with the experts at Turning Earth. Courses are either 8 or 12 weeks long and are at their gorgeous East London studio. Our beautiful studio occupies two large, glass-fronted railway arches on the Kingsland Viaduct, between Hoxton and Haggerston overground stations. Courses are taught by professional ceramic artists Sharon Virtue, Tessa Barrett, Ben Sutton, Stine Dulong (designer at SkandiHus) and Sarah Hall.